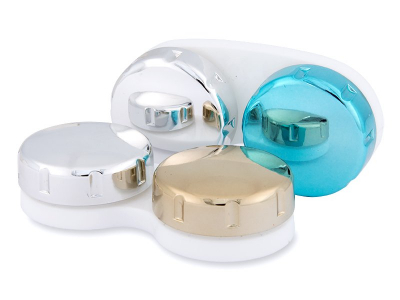 This plastic lens case was designed for storing and cleaning all types of soft bi-weekly or monthly contact lenses. 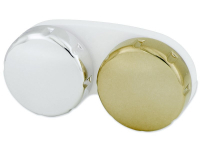 Each lid has a glossy, mirrored finish in a different colour. One is gold, while the other is silver.